We are pleased to announce that we have called Rev. Rob Rhew as our full time bi-vocational pastor. At Ringgold Baptist Church, you will find a church who loves you and your family! We are a church with an old fashioned flavor of Southern tradition in song and preaching. We are unashamedly traditional in our style of worship. You will find down-to-earth teaching and preaching from the Word of God, the kind that changes lives. You will also find soul-stirring songs and hymns sung in the traditional Southern style! On Sundays and Wednesdays, we can find studies for groups who love to study together. We are a vibrant, growing congregation of Christians who love God, love each other, and love our community. We have a desire for our neighbors to see Christ in us and to find the joy that we have found in Him! We believe in soul winning in both our church activities and our personal lives. Ringgold Baptist Church’s building was erected in 1887 and was formerly known as Union Baptist Church. It was occupied by Union’s congregation until May 2006. 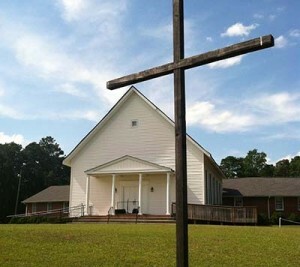 In April 2006, Ringgold Baptist Church became the owner of the former Union Baptist Church facility. This culminated after a year of planning for the formation of the Ringgold Baptist Church. A joint worship service was held between Union Baptist and Ringgold Baptist and on May 21, 2006, was the dedication of Ringgold’s new facility. two weeks later, the church began having Sunday evening services. In July, two deacons were ordained and in August, the church baptized its first four candidates. Now eleven years later, God continues to guide us and bless. We invite everyone to come and join us in worship.